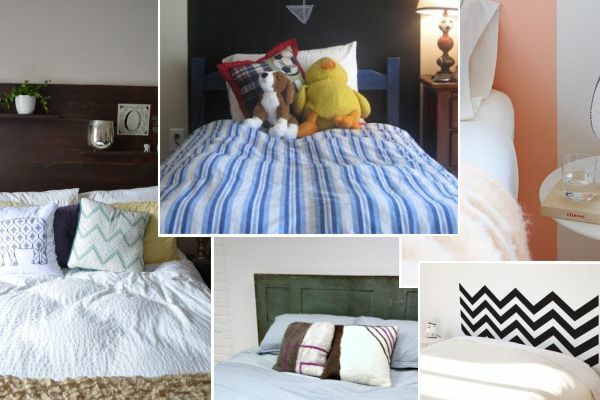 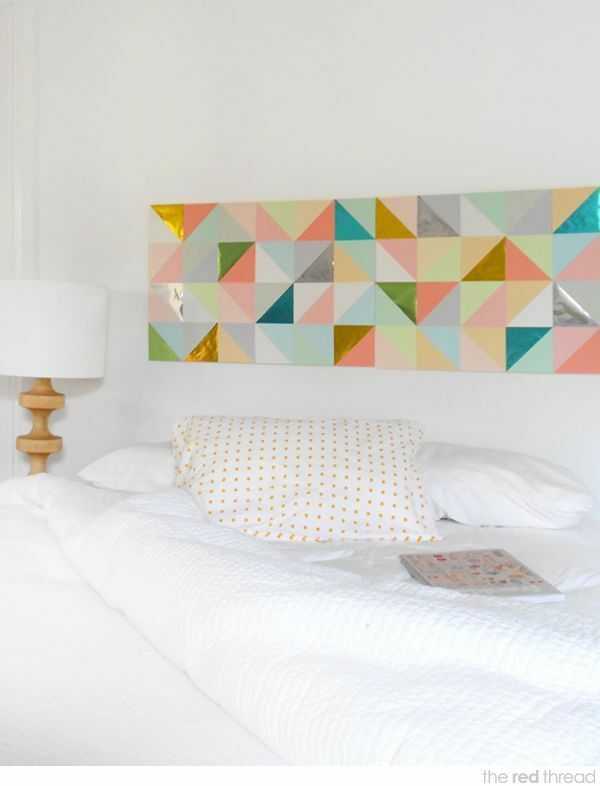 101 headboard ideas might sound like a lot but we’ve actually only begun to analyze the options. 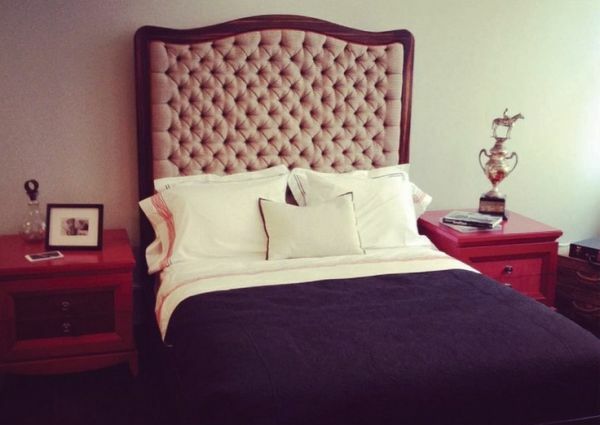 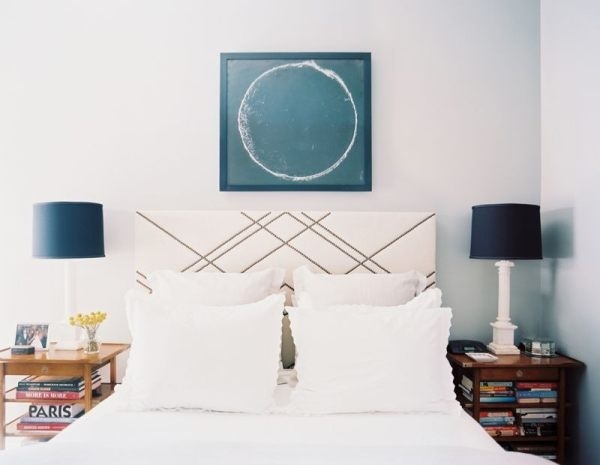 The headboard is a crucial element in any bedroom. 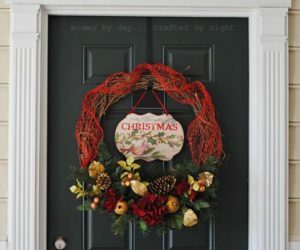 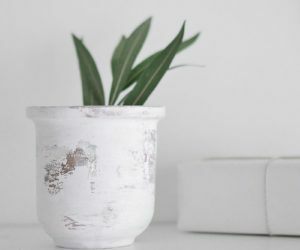 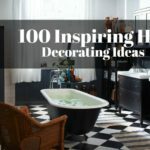 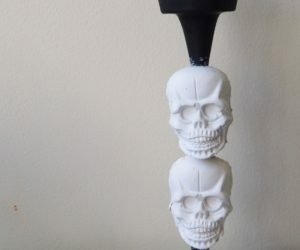 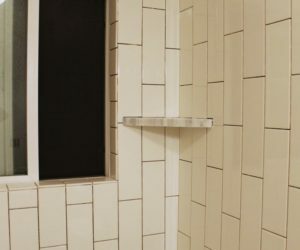 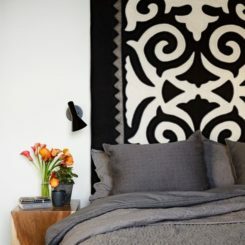 Of course, it’s not imperative to have one but it’s a detail that can complete or change the decor in a variety of ways. 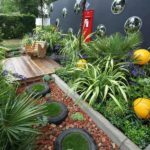 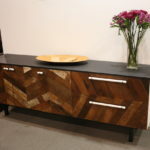 When there are so many different options, designs and styles to choose from, it can be difficult to make a decision. 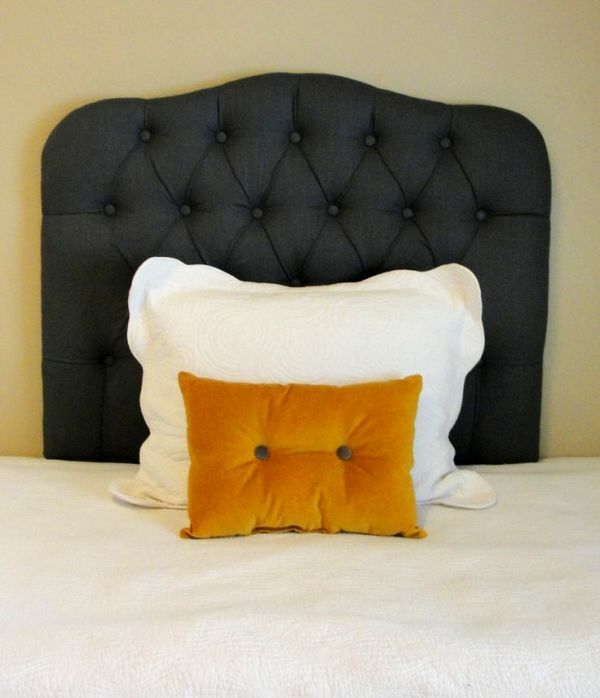 Hopefully, our huge list of headboard ideas can offer you some inspiration. 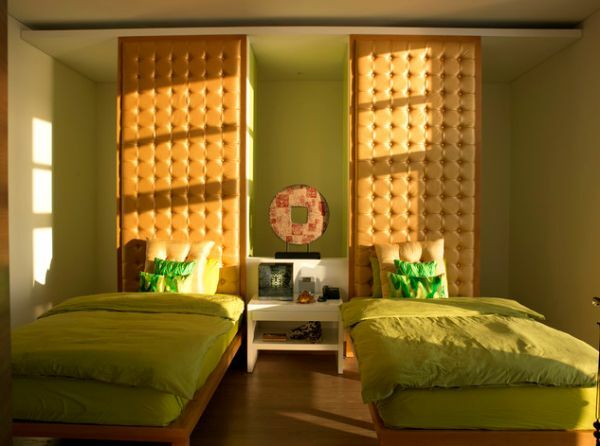 We have prepared examples for each type as well as numerous options for you to choose from. 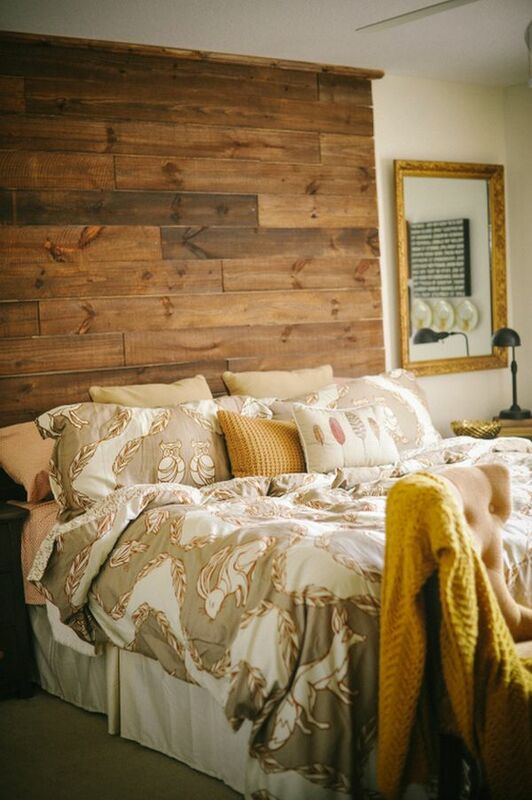 Wooden pallets are popular because they add warmth to the room thanks to the material’s natural qualities. 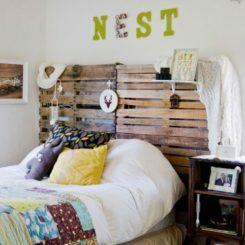 A wooden pallet can be made from reclaimed pieces if you want to add character to the design or to preserve the story behind the material or it can be made from pallets, very efficient and very cheap. 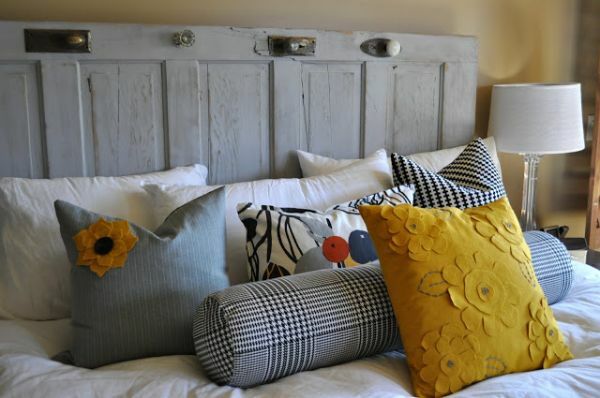 Such headboards can add a rustic or vintage touch to the room and they’re also great for contemporary decors. 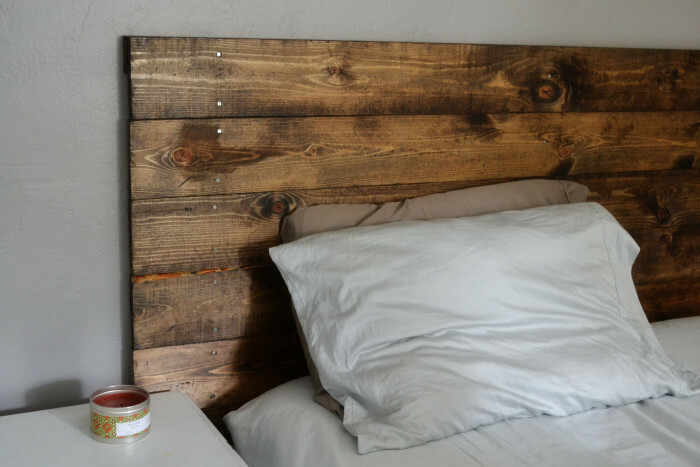 If you prefer a more unusual type of design for your headboard, you could try using unconventional materials. 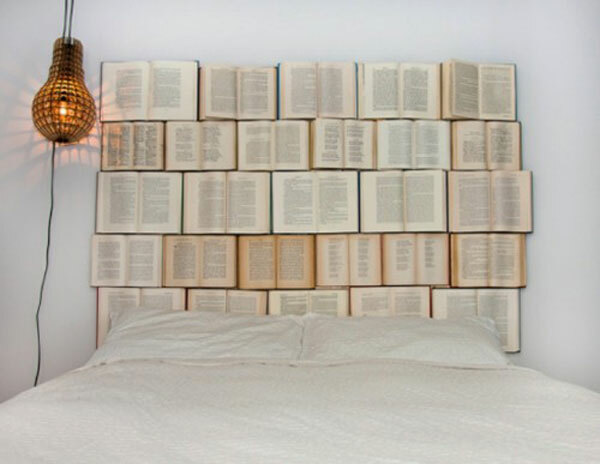 For example, maybe you have a bunch of old books you no longer need. 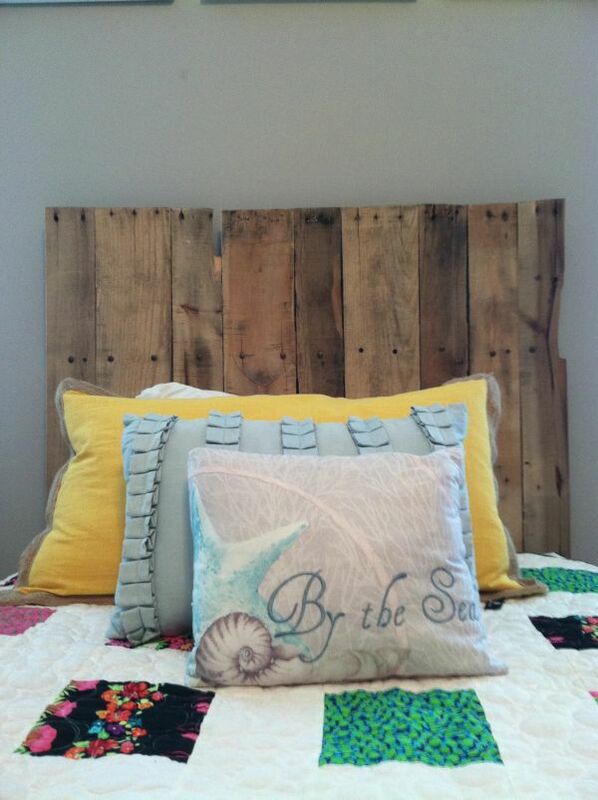 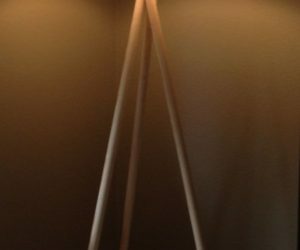 You can stack them and create a complex structure to use as a headboard. 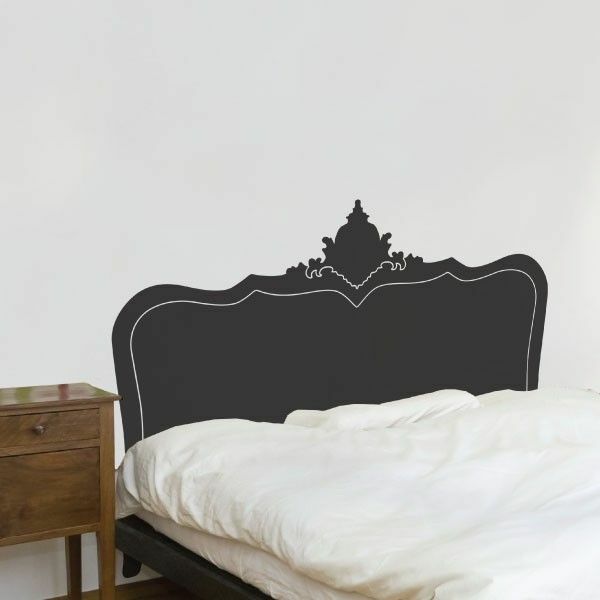 Of course, it would be simply decorative. 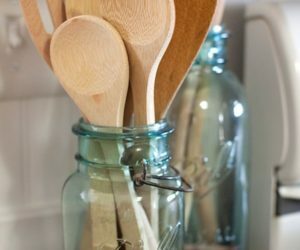 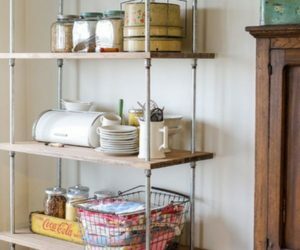 You could also opt for a large bookcase or you can attach open books to a wooden board. 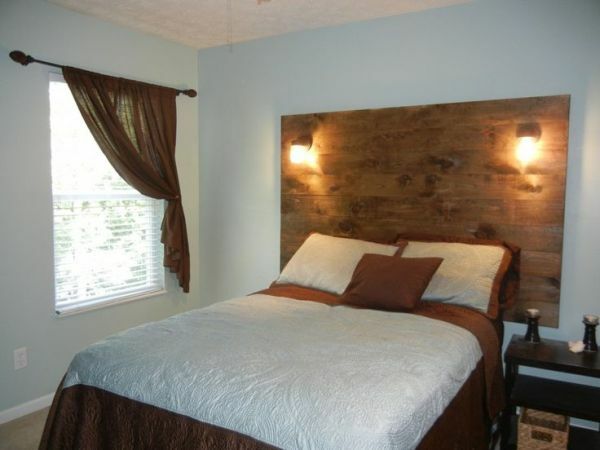 Headboards painted on the wall. 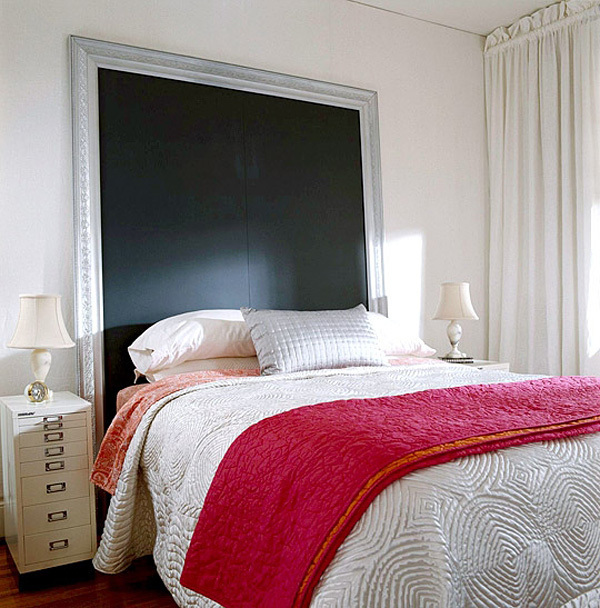 In most cases, the headboard is nothing more than just a purely decorative element. 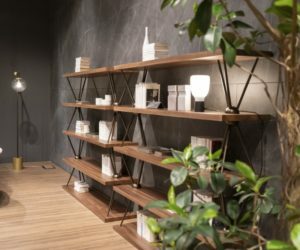 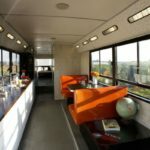 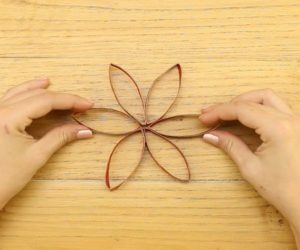 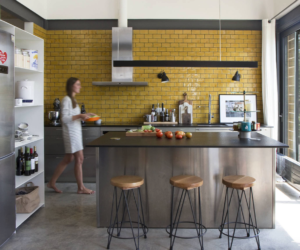 This eliminates its functional side and only leaves the visual impact. 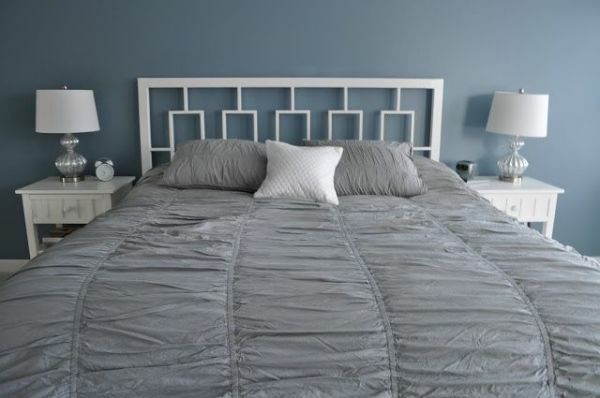 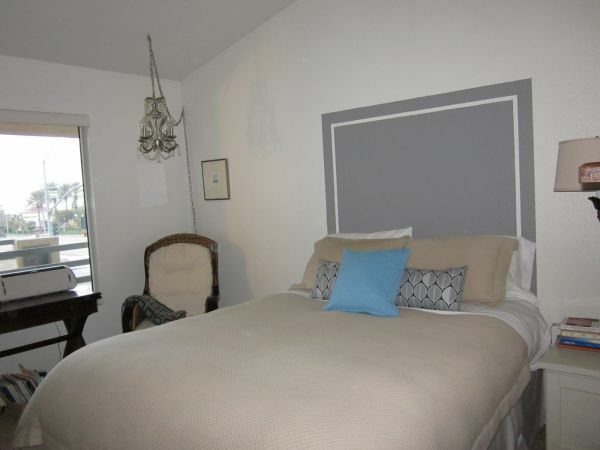 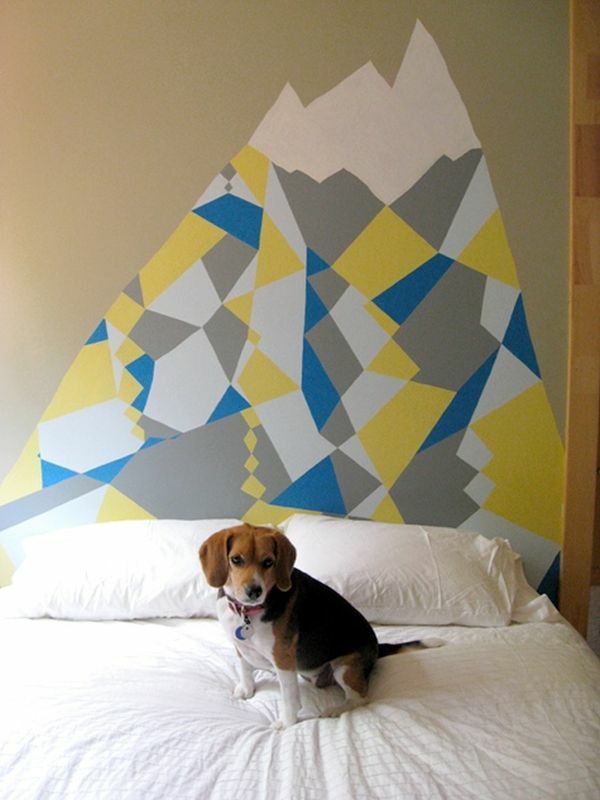 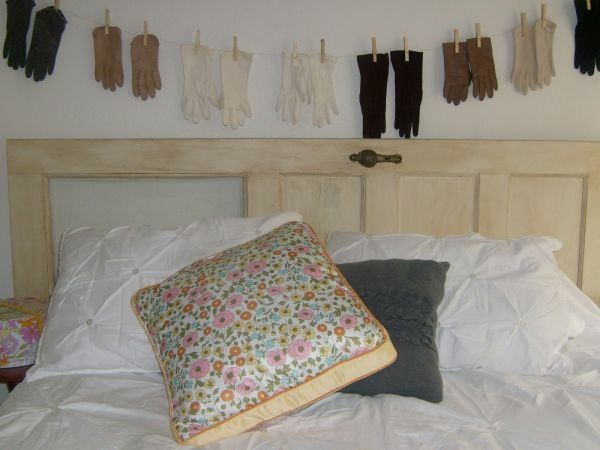 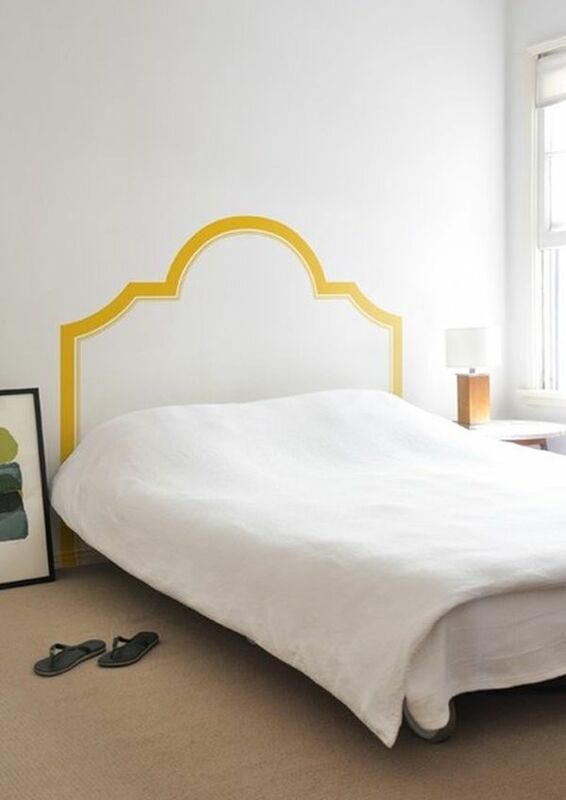 As a result, you could try painting your headboard directly onto the wall. 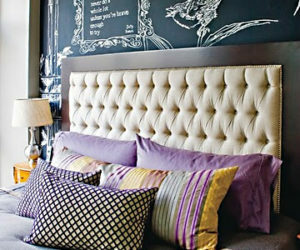 It will simply be an illusion of having a headboard without wasting space with a real one. 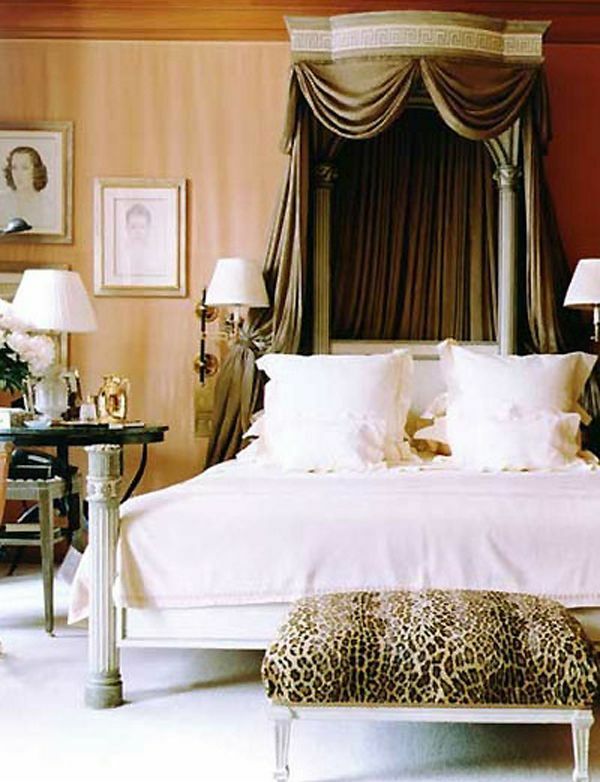 Want something classy and simple? 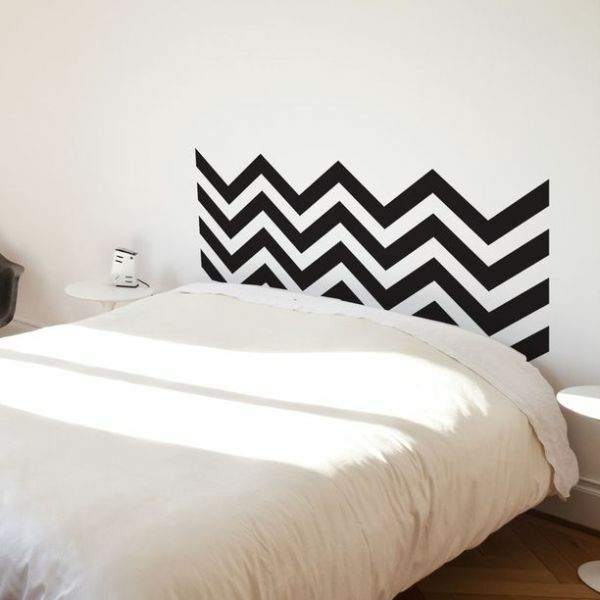 How about a black and white chevron pattern? 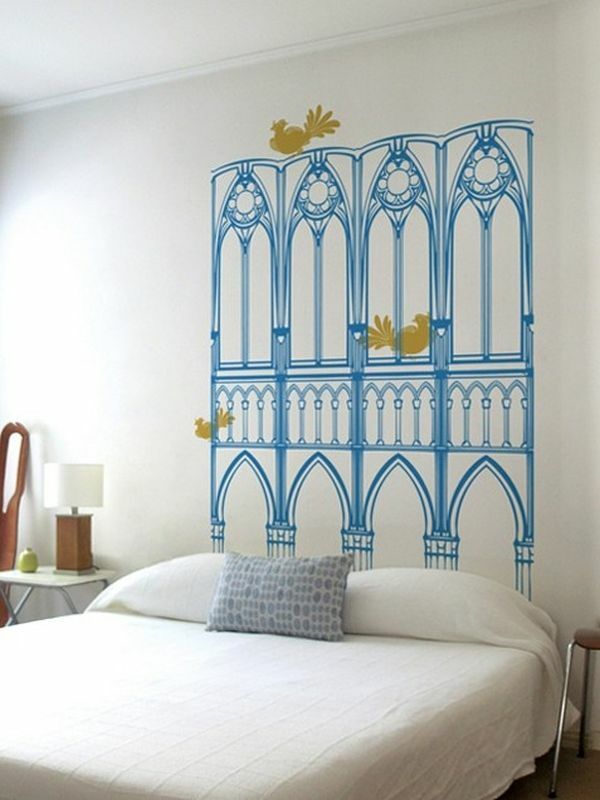 A similar idea would be to opt for a decal instead. 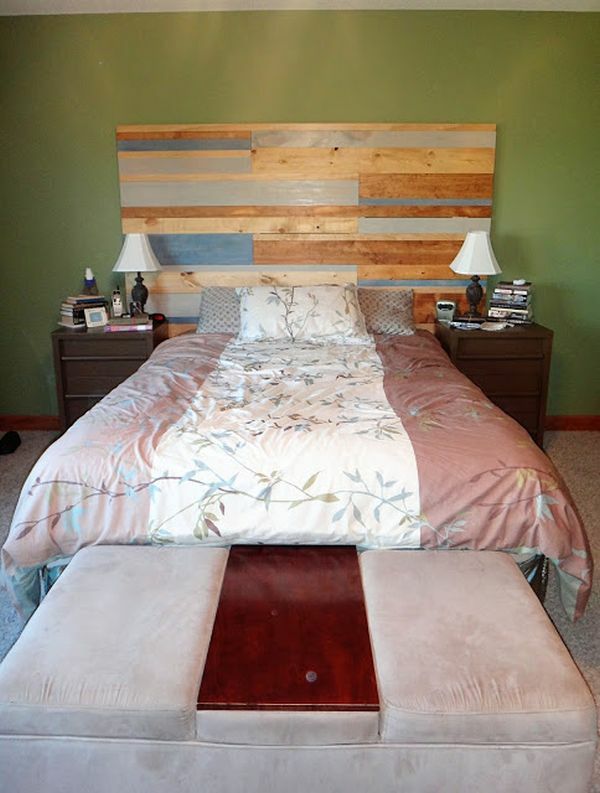 You simply adhere it to the wall and there’s your headboard. 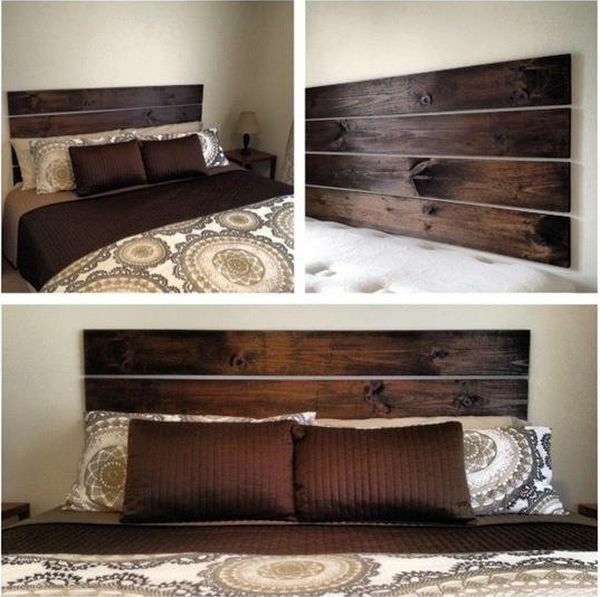 It’s the image that counts in this case and not any of the other features that come with an actual headboard. 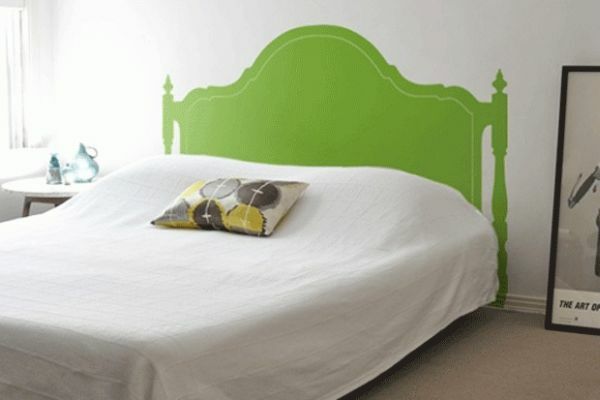 When you choose a decal you can also think out of the box and opt for a more unusual design. 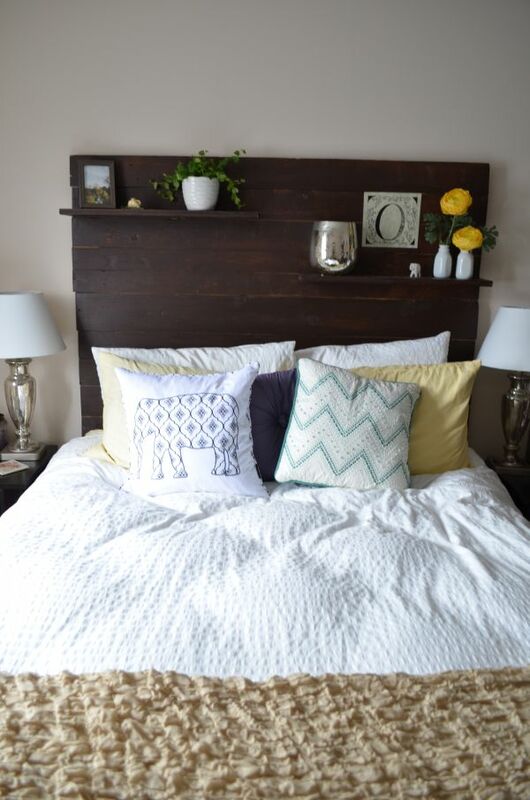 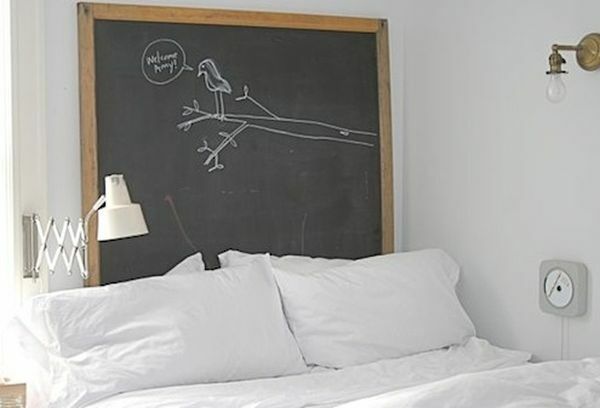 Chalkboard headboards can be very fun because they allow you to personalize them as you want. 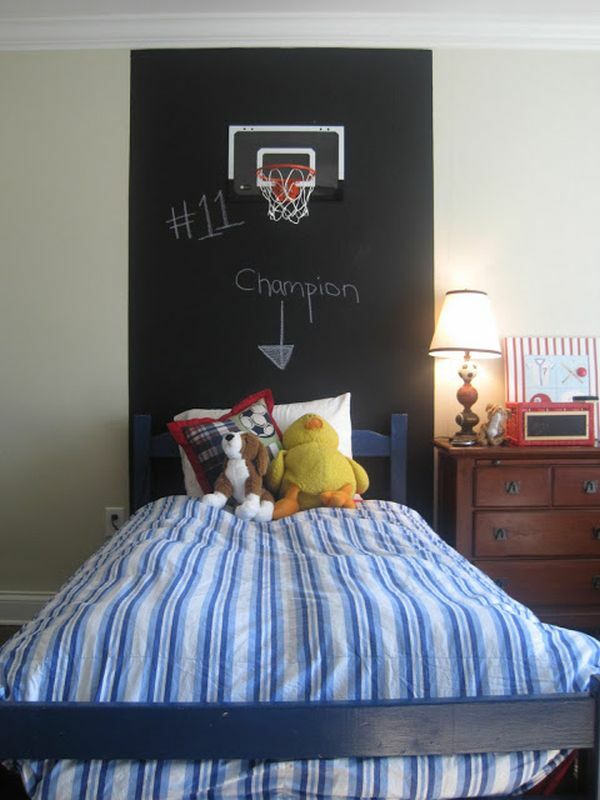 You get to write funny or inspirational messages on them or you can paint all sorts of designs on them. 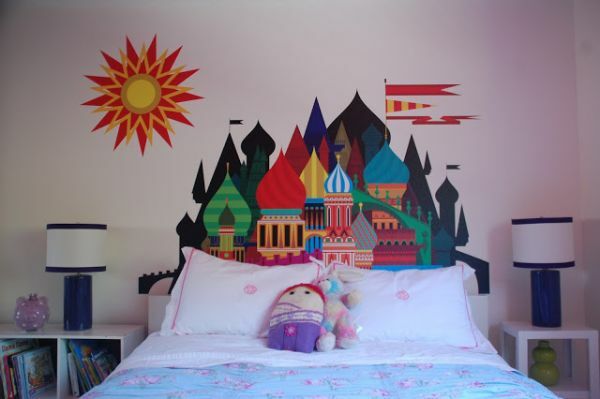 They can be a very nice choice for the children’s room. 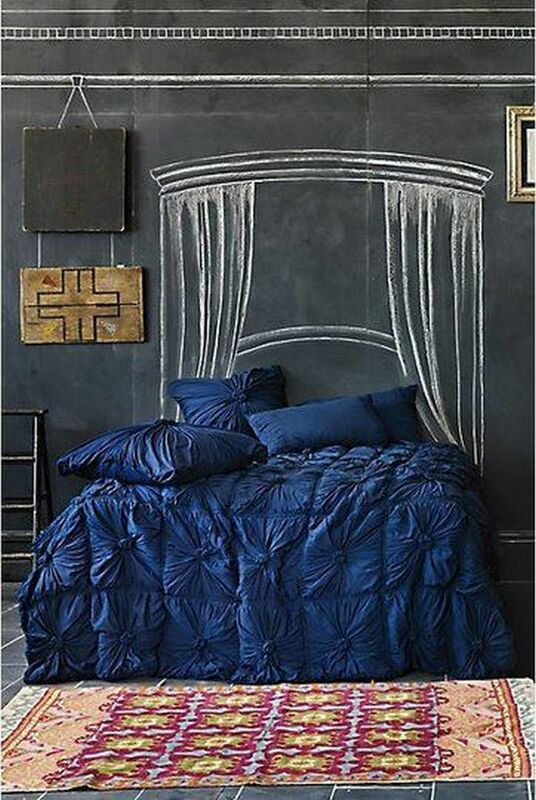 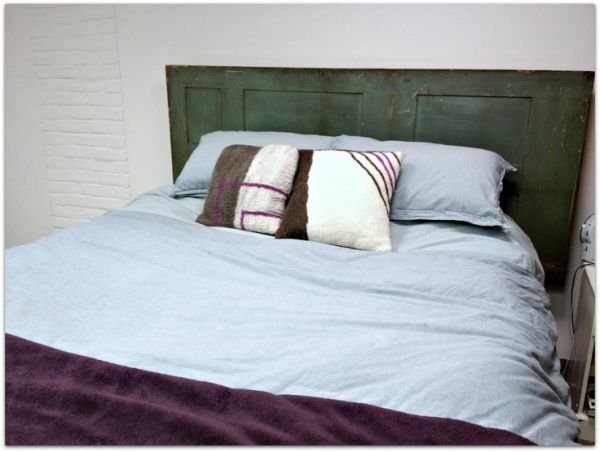 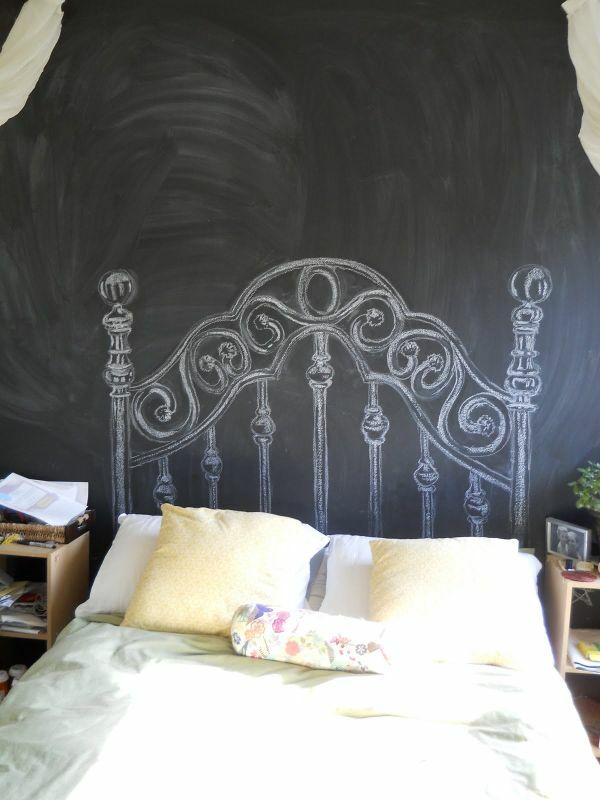 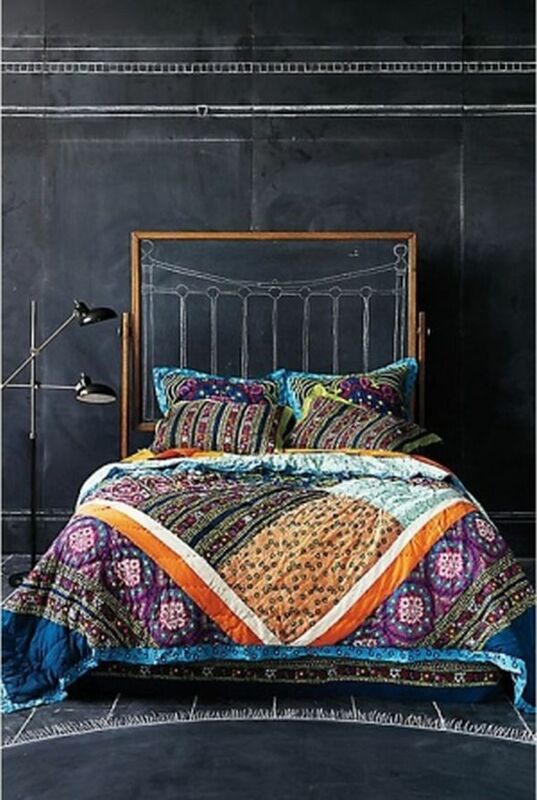 Instead of an actual headboard you could also just apply a few coats of chalkboard paint to the wall. 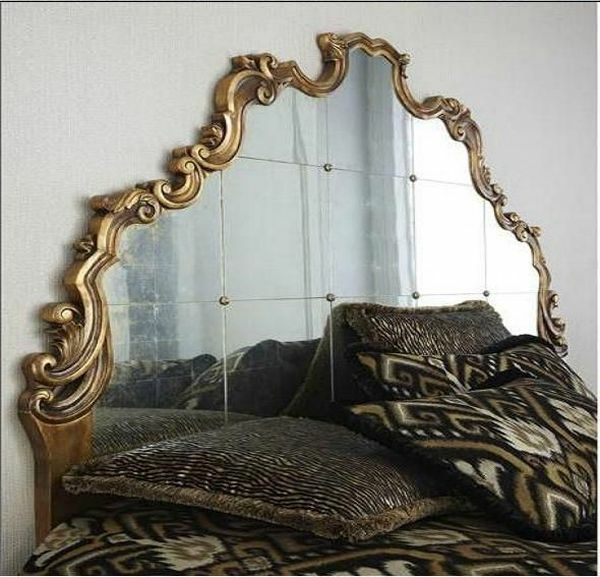 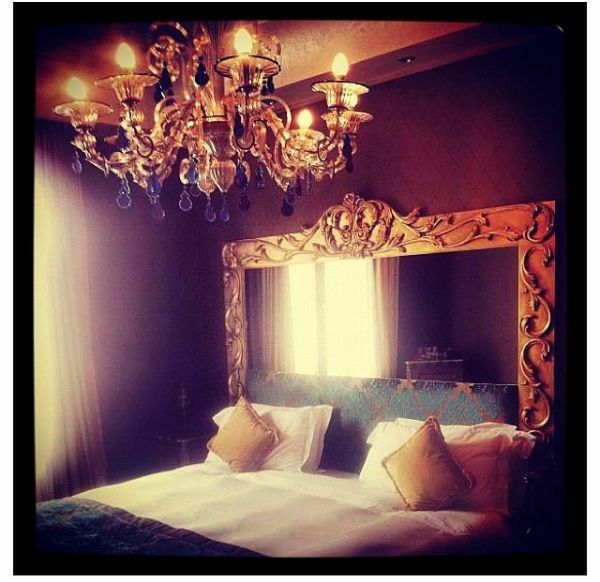 Mirror headboards are very interesting. 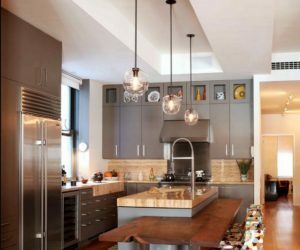 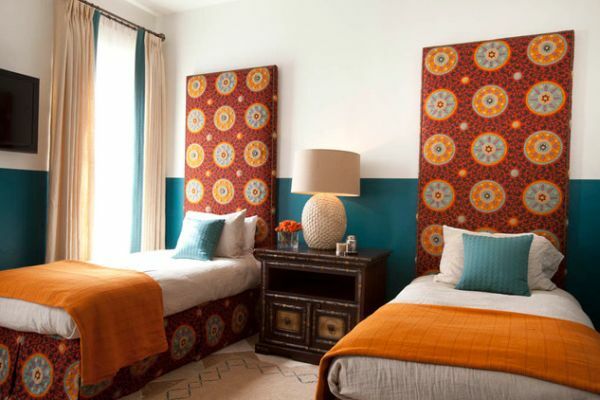 They can be very fancy and they add elegance to the room, not to mention that they can make the room seem more spacious. 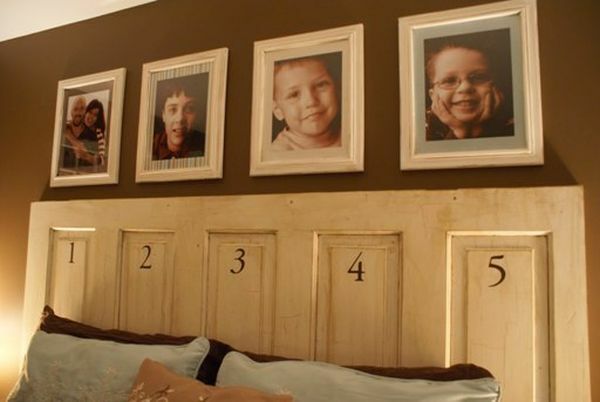 In addition, they give you the possibility to choose a very interesting frame. 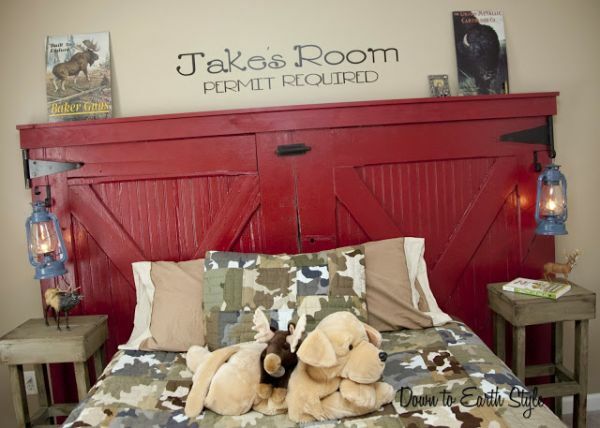 Of course, I don’t even have to tell you how fun they can be for couples in their private time. 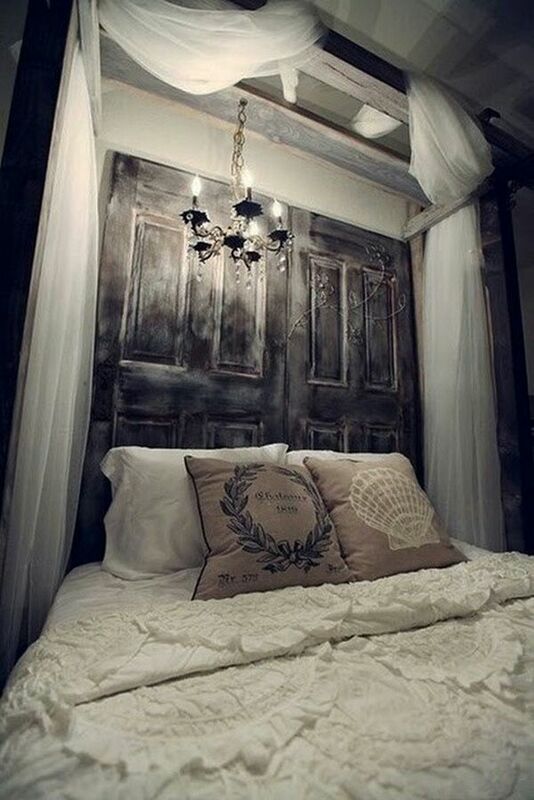 Old doors turned into headboards. 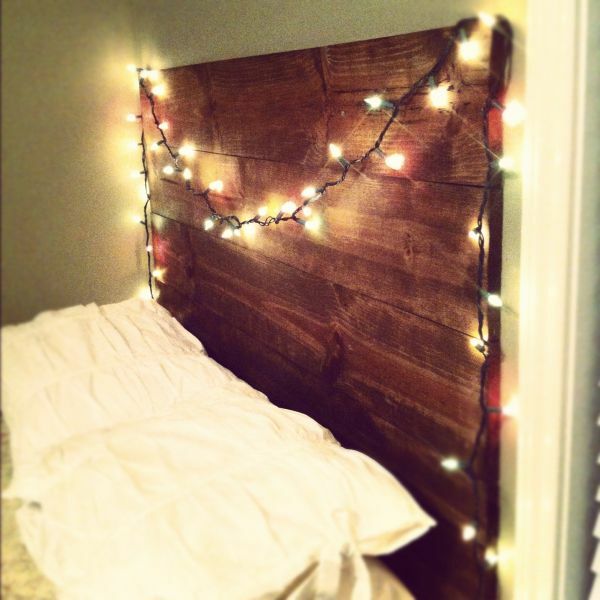 We now return to the DIY projects. 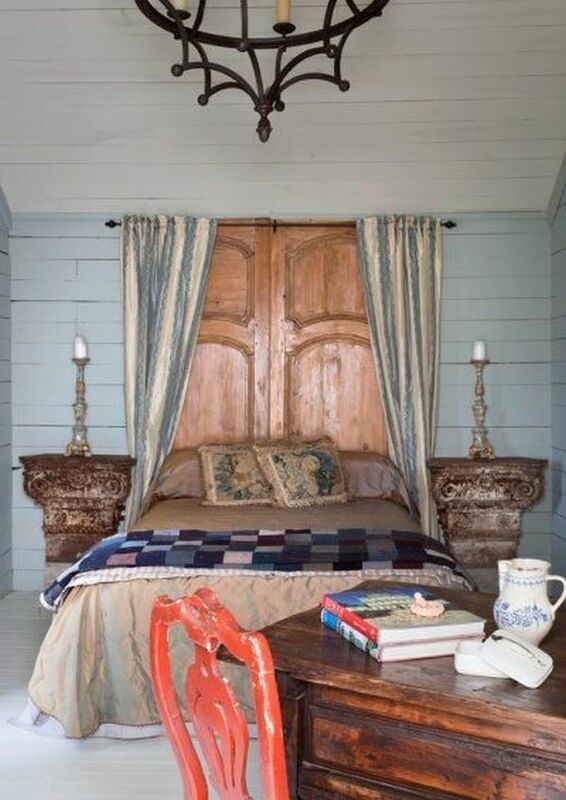 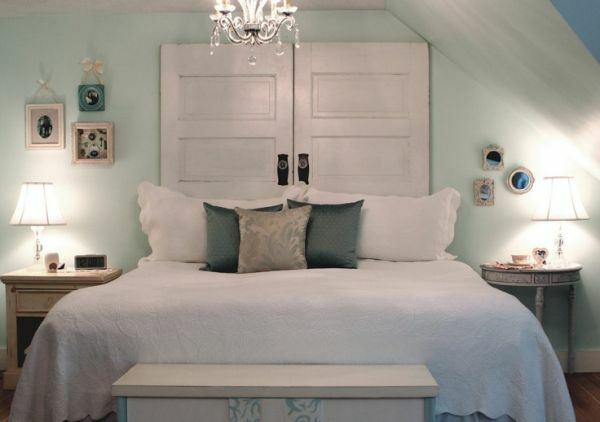 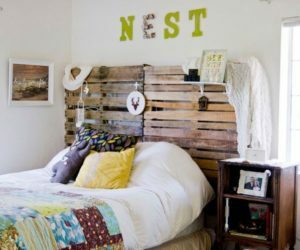 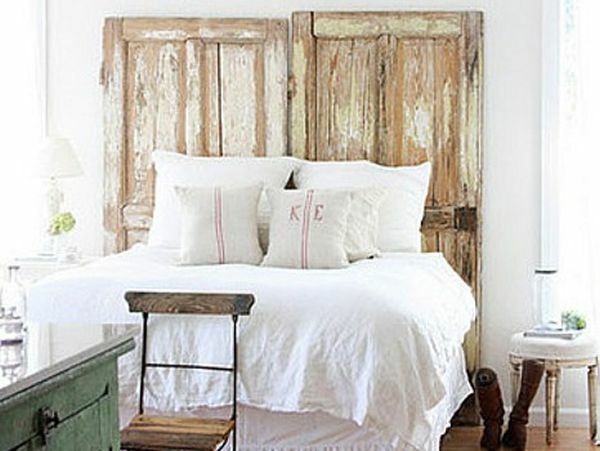 If you want to add a vintage touch to your bedroom or you prefer recycled elements instead of new ones, a very nice idea would be to use your old doors as a headboard. 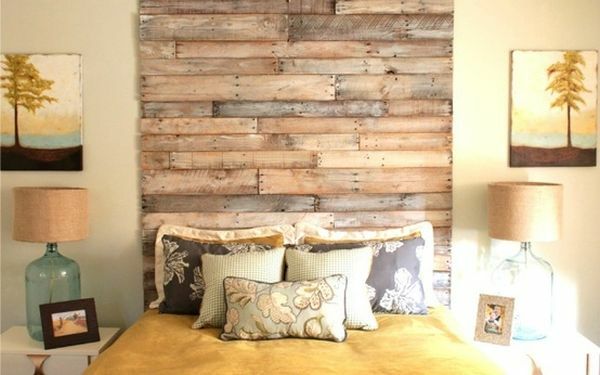 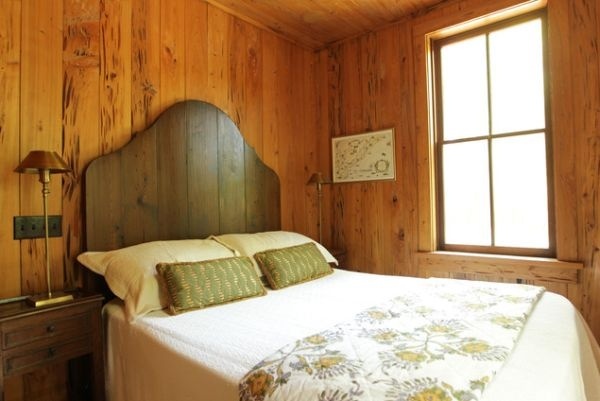 Depending on the type of door, you could have a rustic, modern, elegant or colorful headboard. 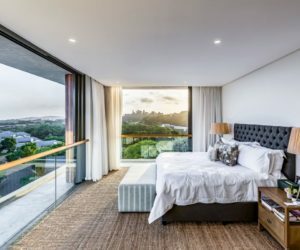 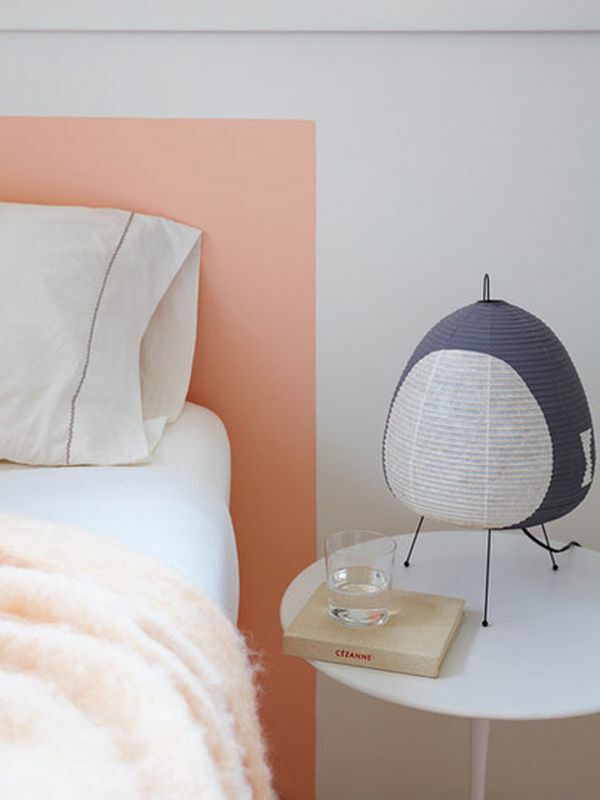 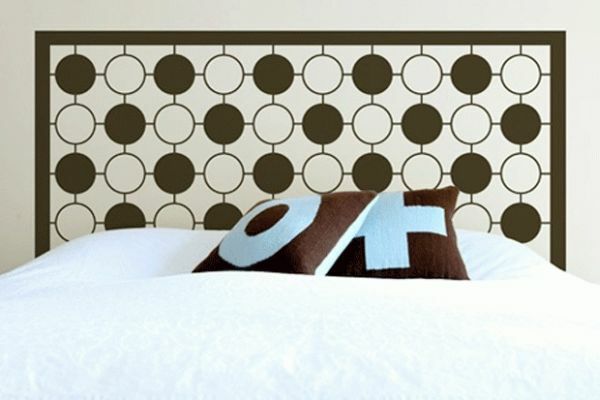 Modern and contemporary headboards, just like any other elements designed in these styles, often focus on clean, straight lines and geometric patterns. 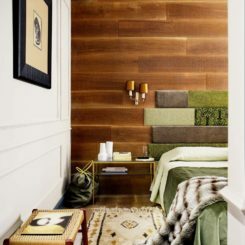 You could opt for a headboard that features an abstract design or for something simple. 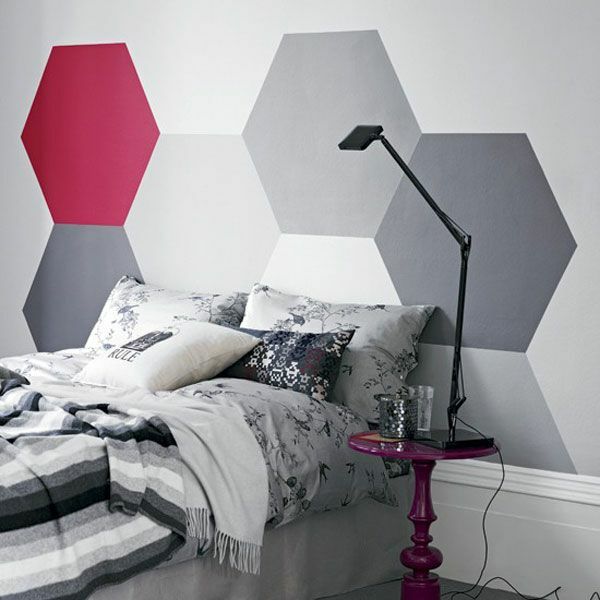 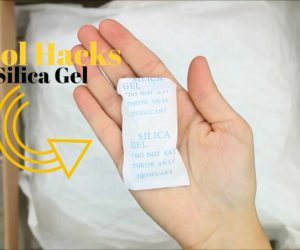 You can also use color to make them stand out. 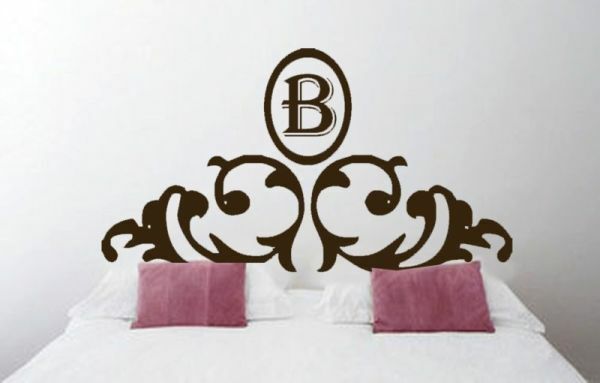 As opposed to decals or painted headboards, these ones are focusing more on the functional side of this piece. 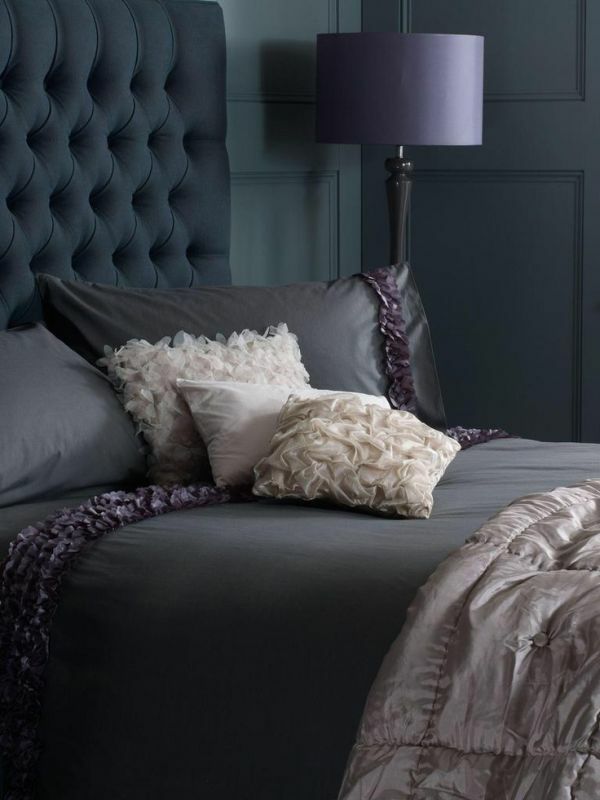 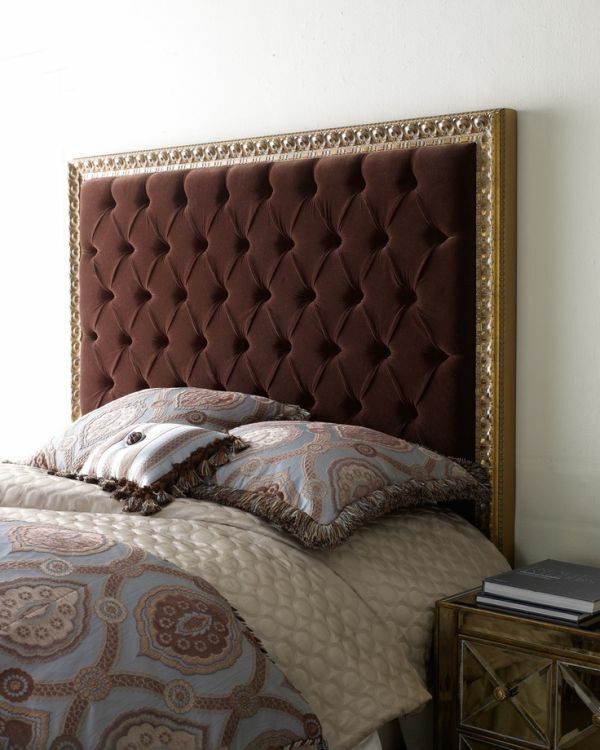 The tufted headboard is very popular because it beautifully combined comfort with style. 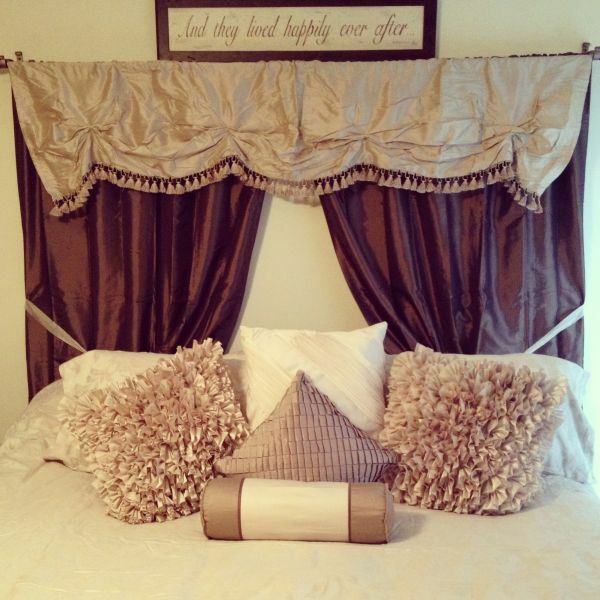 It’s elegant and it has a nice and cozy look, perfect for the bedroom. 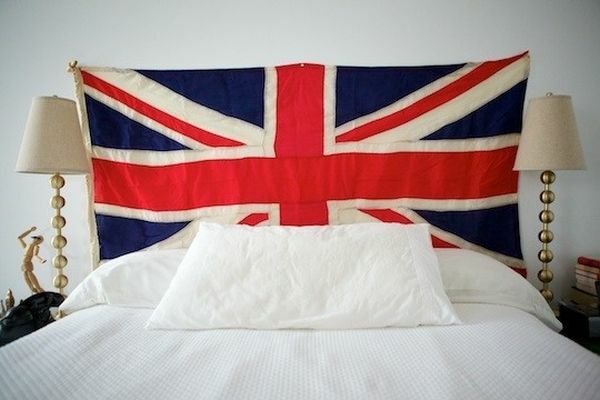 In addition, it can be very comfortable. 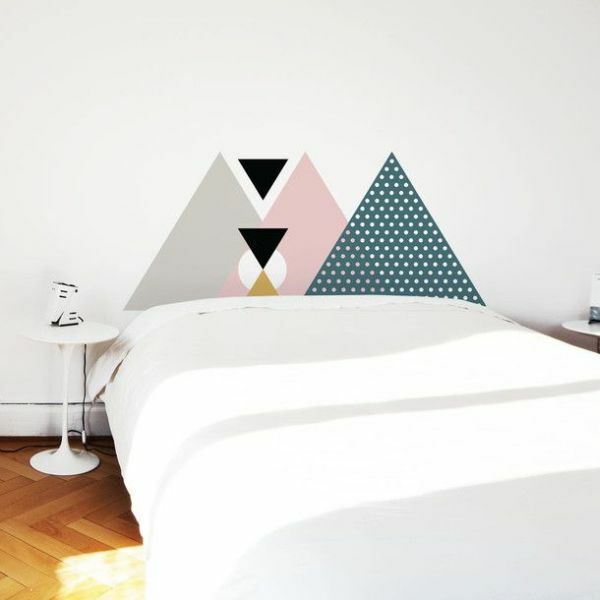 In the case of a bedroom that needs a focal point you could forget about the traditional headboard designs and go instead with something a little more artistic. 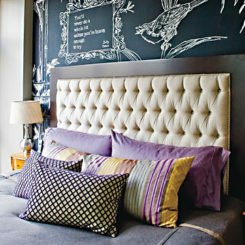 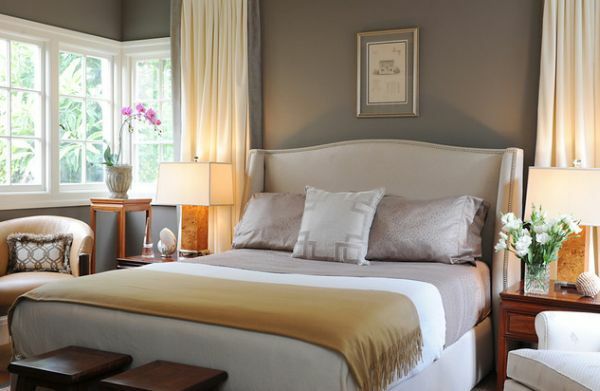 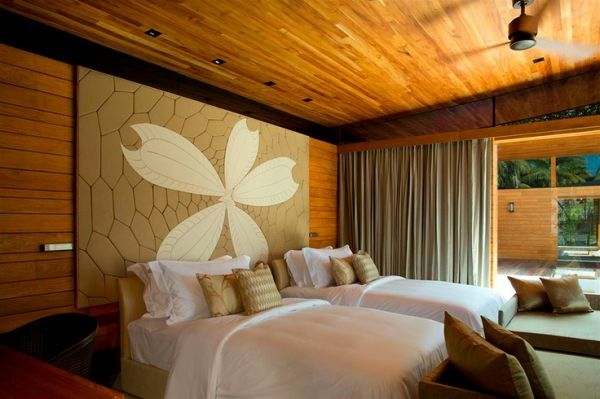 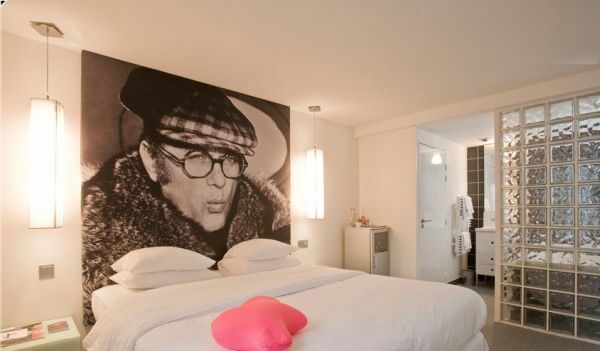 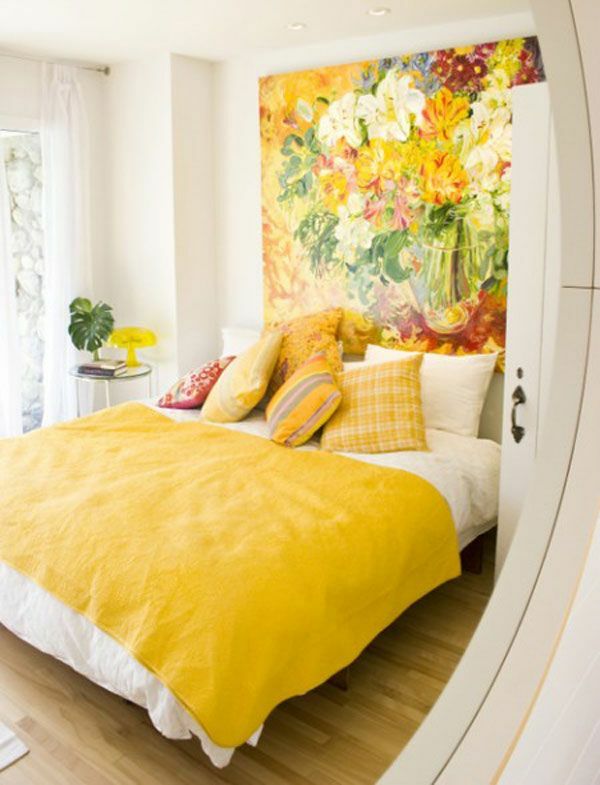 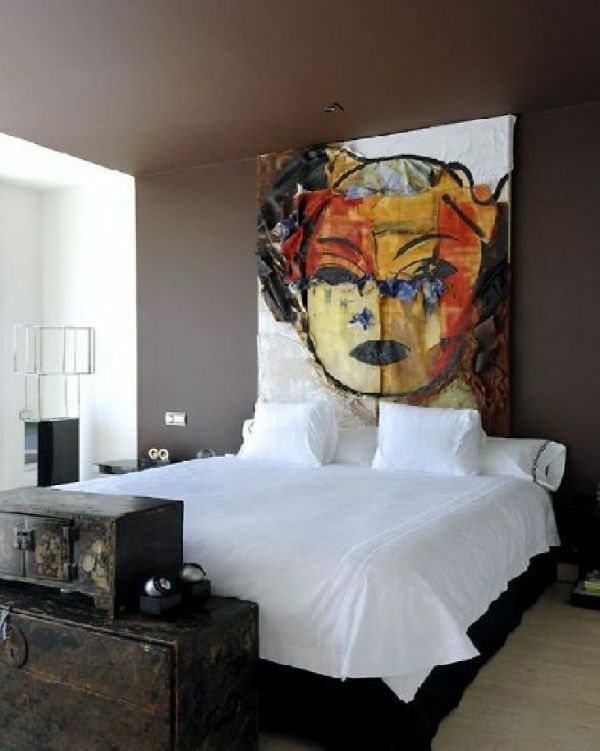 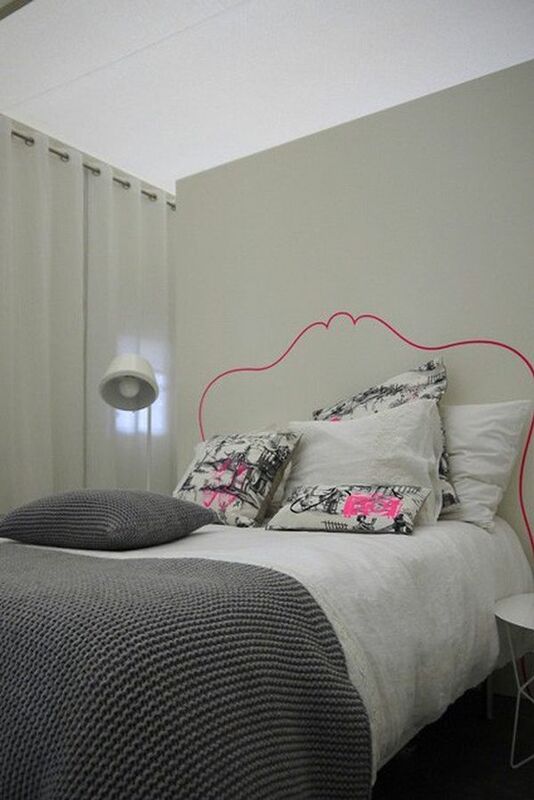 You could paint the wall or you could choose a headboard that beautifully combines art with comfort and functionality. 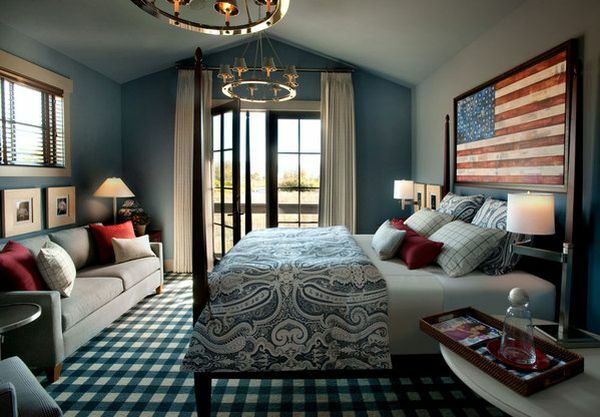 If you’re the patriotic type or if you simply like a certain flag, not necessarily that of your country, then you can use the flag as your headboard. 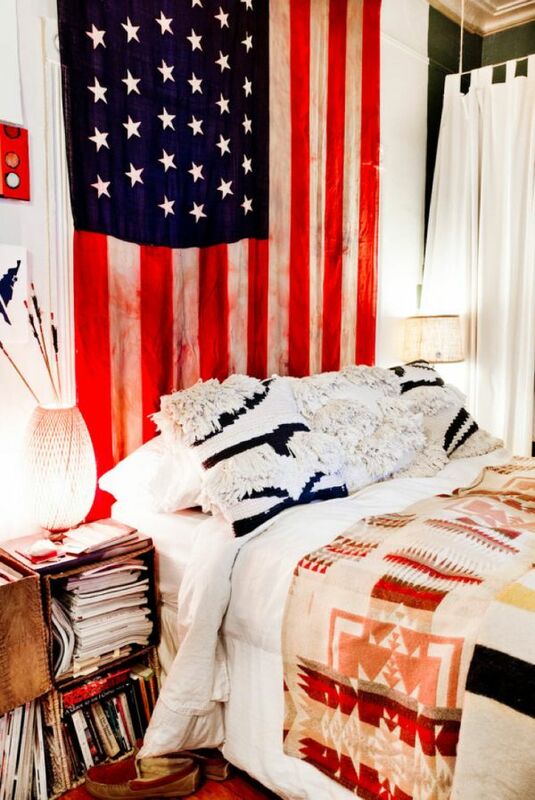 Flag carry a lot of symbolism so the visual impact will be strong. 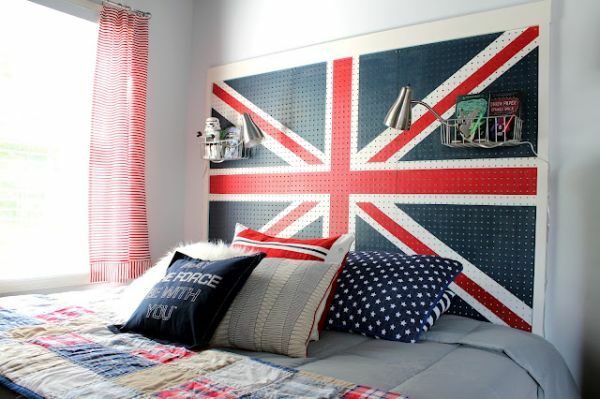 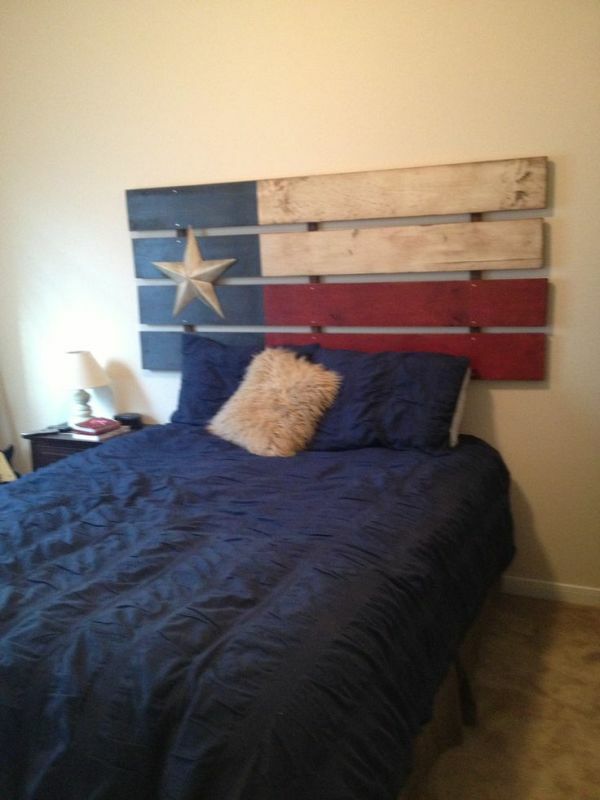 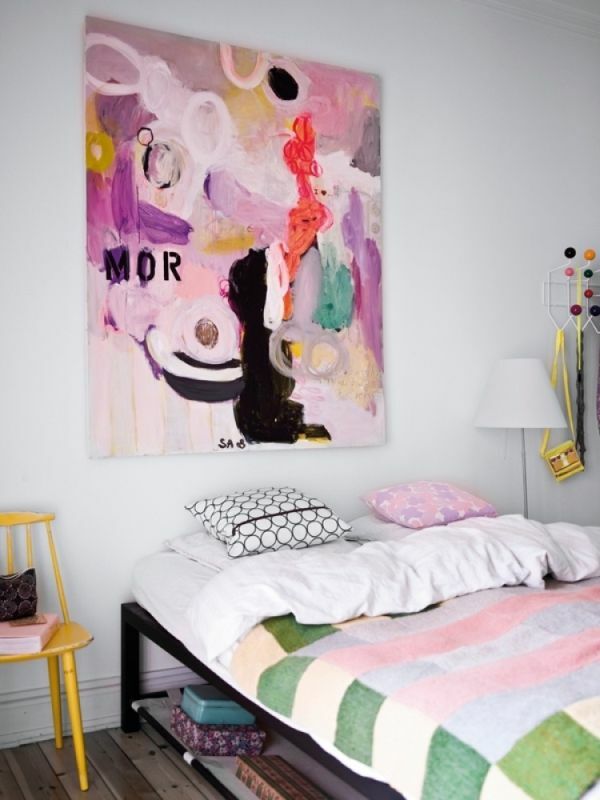 You can use an actual flag and attach it to the wall or to the headboard or you could paint it on a wooden board. 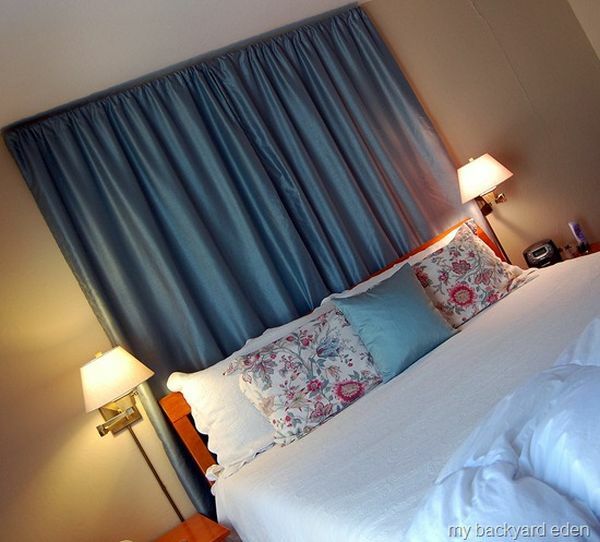 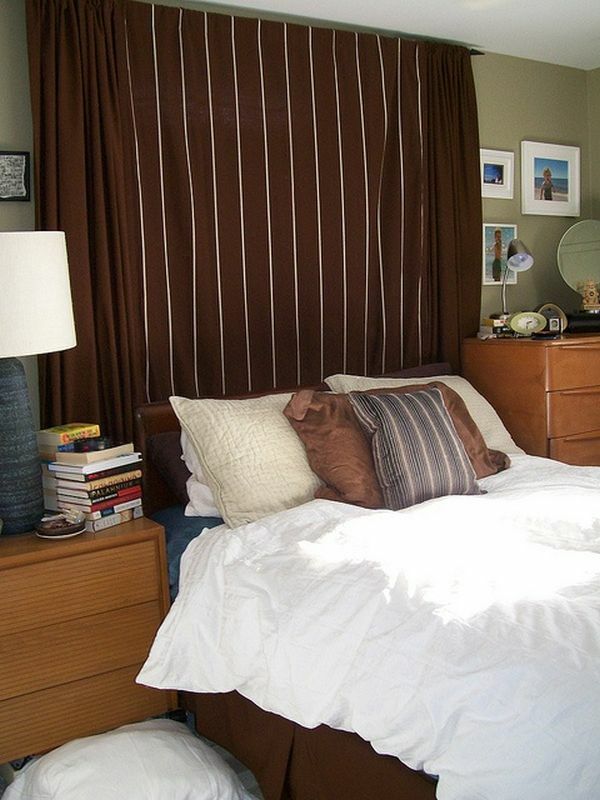 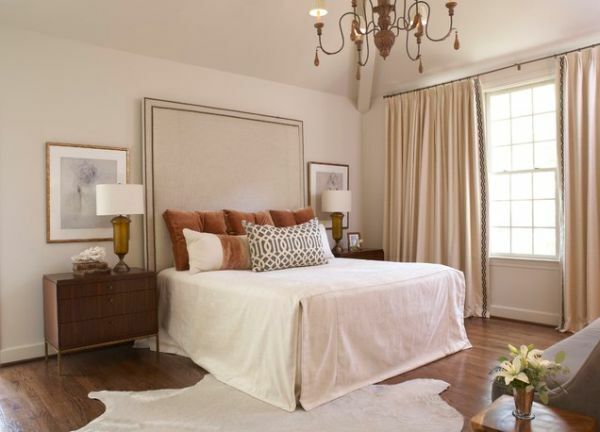 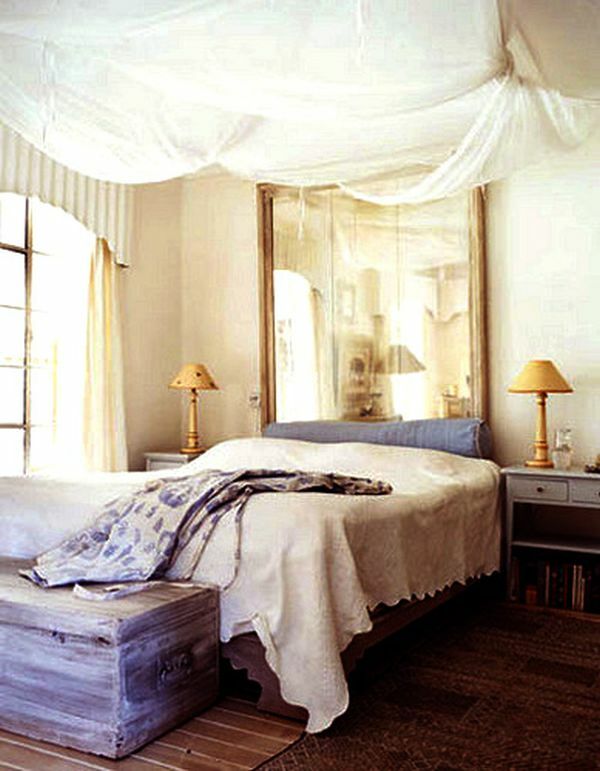 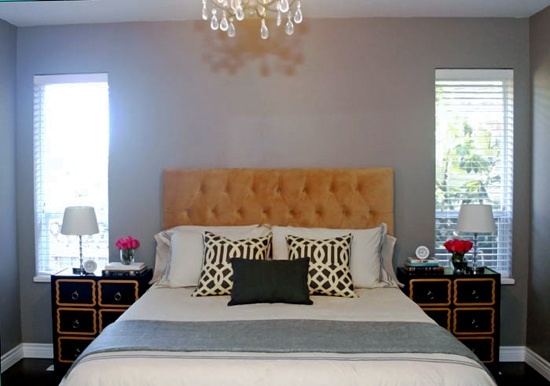 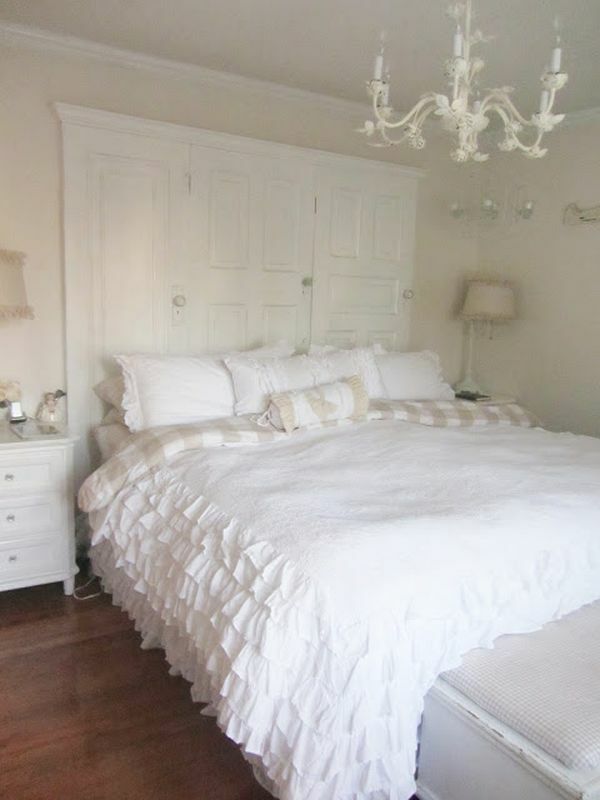 Instead of a headboard you can opt for curtains. 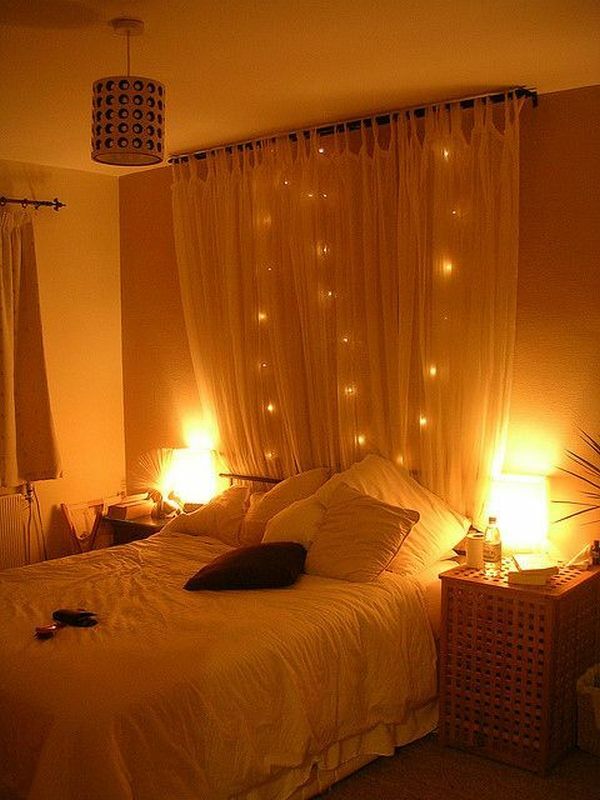 This is a good idea especially if you also have curtains for your windows. 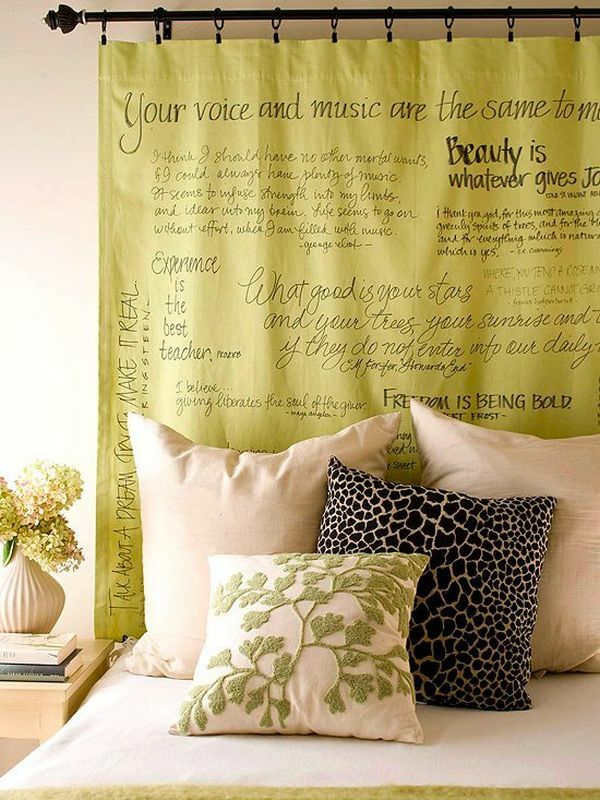 Then you can use the same type or something similar. 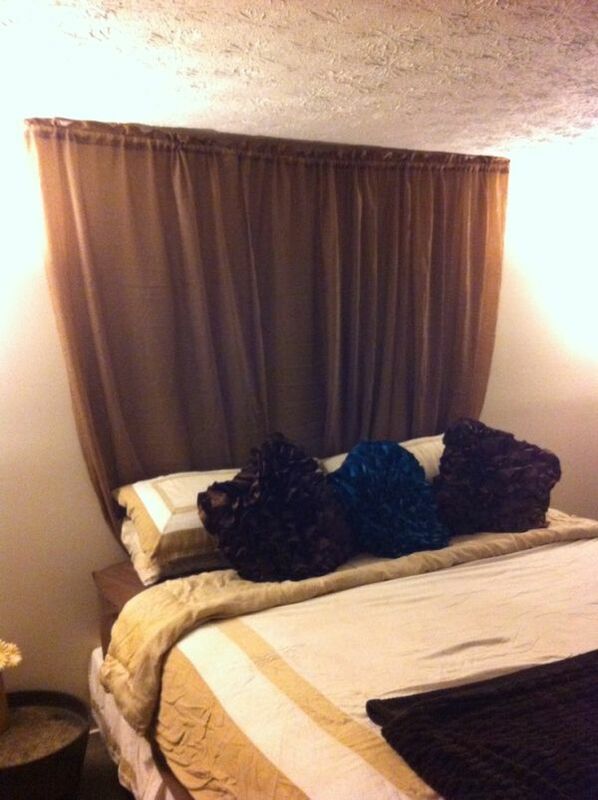 The curtains will add a nice intimate feel and they will also add coziness to the room with their texture. 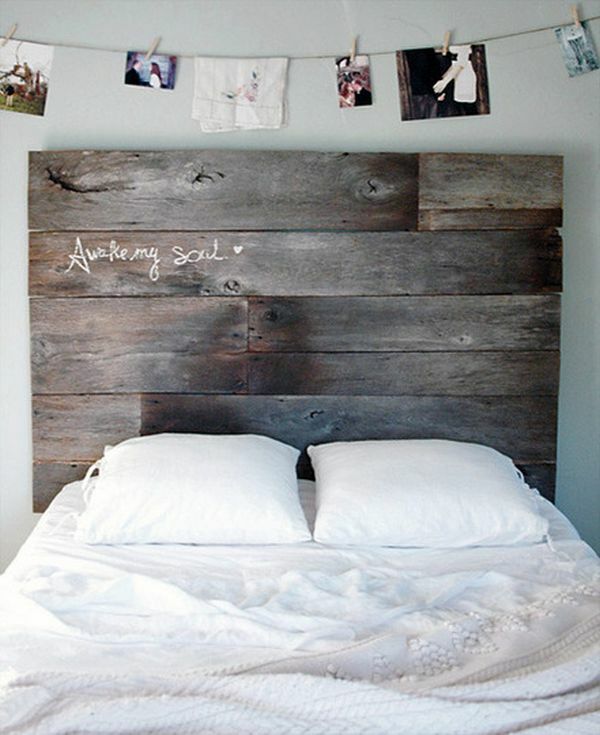 This is also a nice opportunity to personalize the headboard. 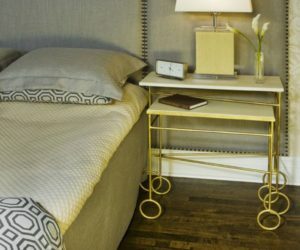 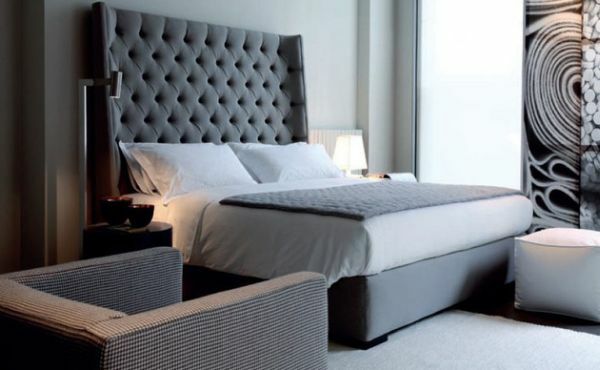 The headboard is a very important element for any bedroom but if you want to emphasize its importance or if you want it to look more dramatic, you can opt for a tall design. 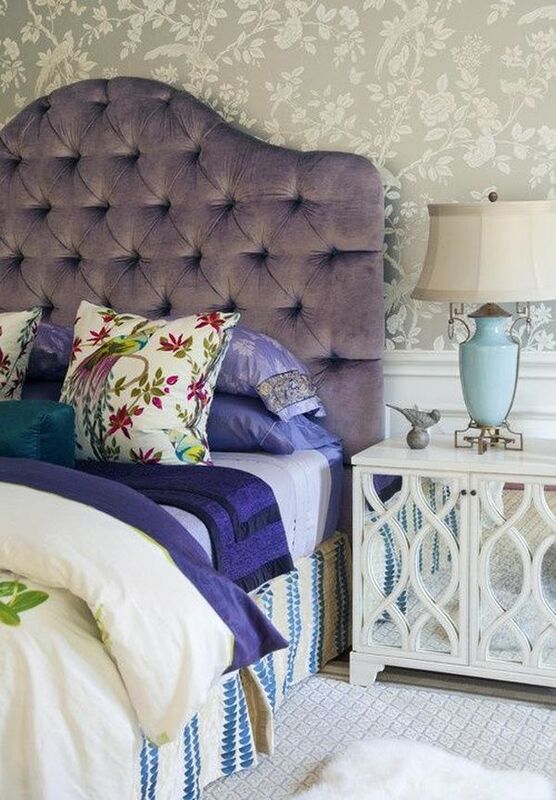 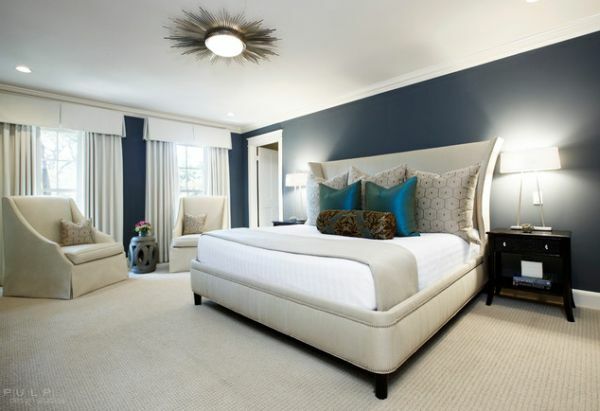 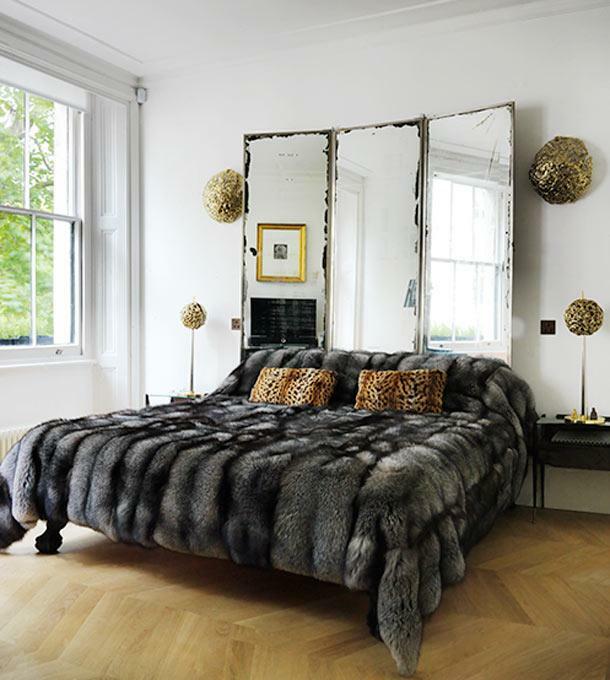 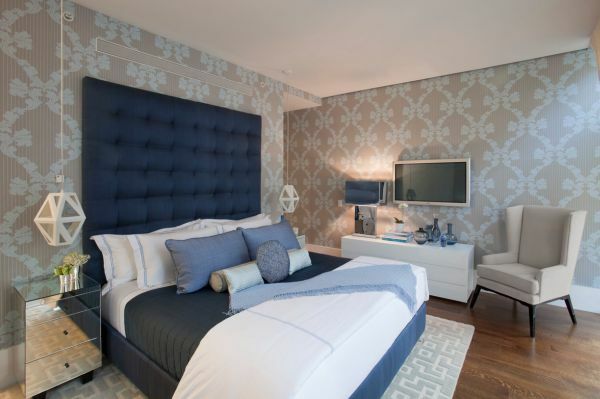 Tall headboards can be very impressive and sumptuous. 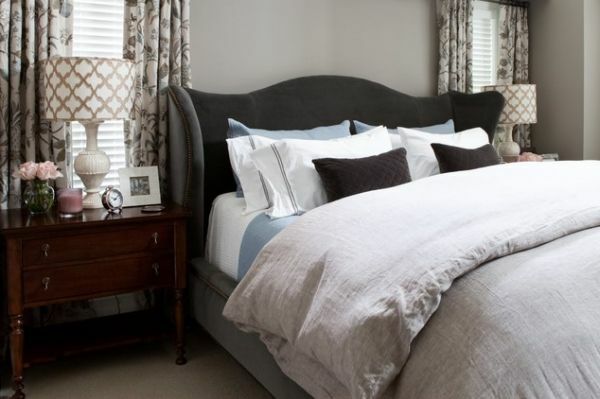 Classical and always elegant, wingback headboards are the perfect choice for large bedrooms. 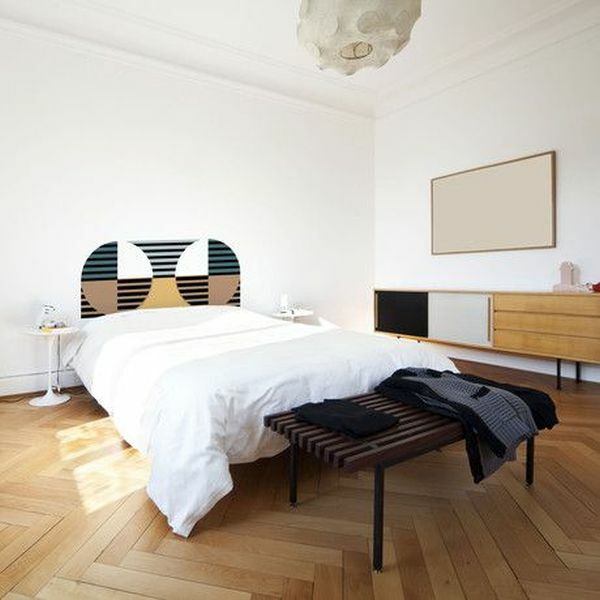 They can be modern although they always carry a dose of classicism in them. 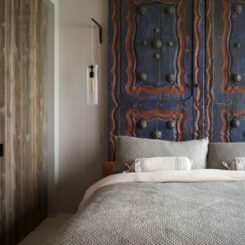 Usually seen in traditional bedrooms, these headboards have an imposing design that’s also delicate thanks to the soft lines.